Last night me and my eldest sister had an awesome plan to watch the Metro Manila Film Festival entry, Boy Golden led by ER Estrada. We read the review hype about the movie and we were so eager to watch it for last night was our only free time after work. But we actually wonder why it is not open in almost all cinemas of Greenbelt and Glorietta as my eldest sis checked the online movie schedule. We only saw one open at Rockwell Powerplant Mall so we decided that for the sake of watching this movie and be amazed with its epicness, to go the mall though its a bit far from wher we work. Anyways, upon being on the mall and walking to the cinema which we had an epic fail moment. Boy Golden is missing and not showing!!!! (Aaaaargggghhhh) We've seen by our bare eyes that on the internet it is showing at Cinema 6 and now the movie we saw is Kaleidoscope World. (The lady said that they can't log in to Bpy Golden that's why there is no showing). We were so disappointed. My sister even more because she was the one who was rooting for Boy Golden. 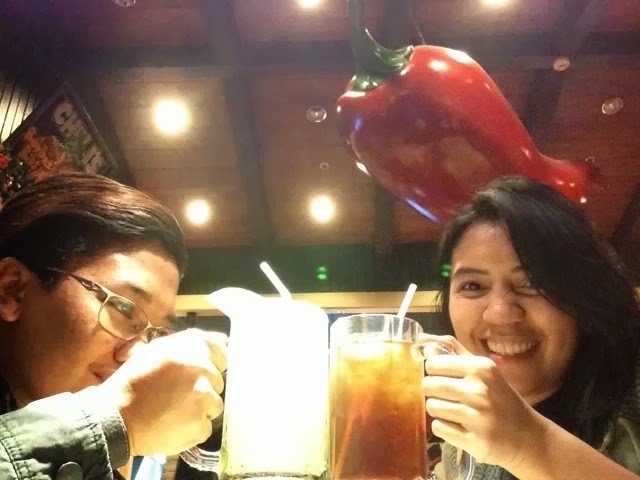 So that led us to just walk around the mall and just do food trip which made the night lighter. 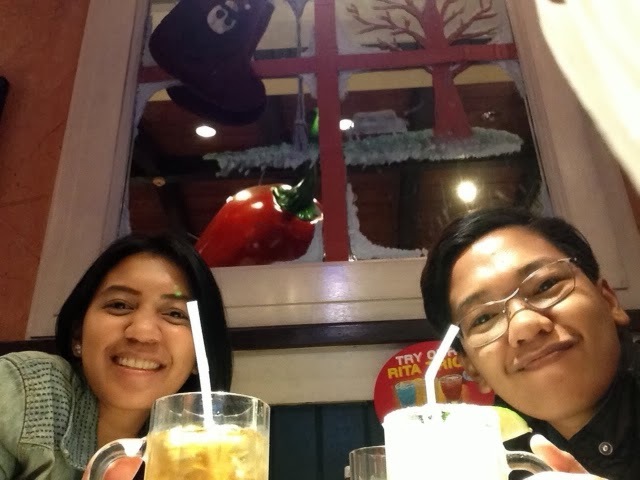 We decided to dine at Chilli's which is located in the ground floor area of the mall. 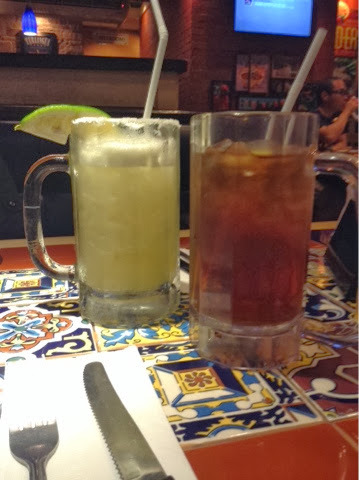 My sister went all out and ordered margarita while she ordered a bottomless ice tea for me. I believe the ice tea cost 105pesos though i highly suggest that you order lemonade instead because this ice tea is just a basic "nestea iced tea" flavor. Yay!!! Happiness at the highest level. 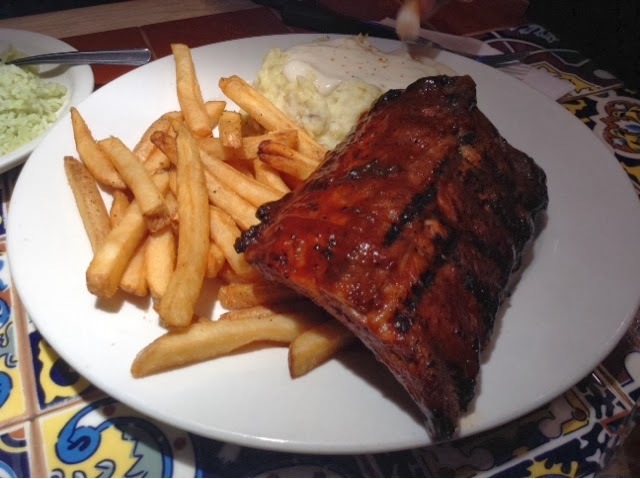 We ordered half rack of baby back ribs which i believe cost around 650pesos. It has awesome mashed potato on the side as well as gigantic french fries. 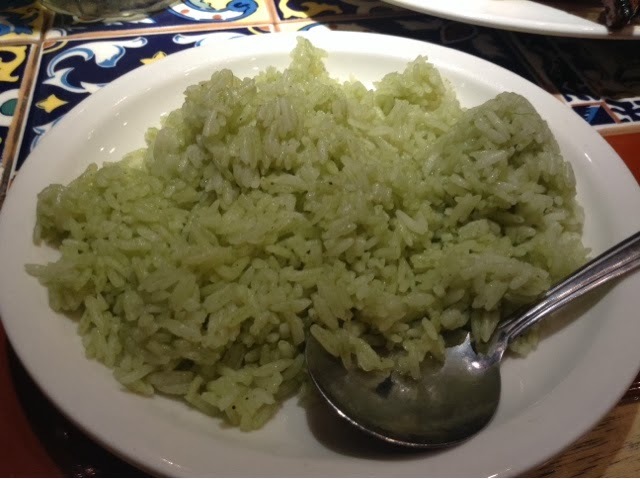 For rice my sister ordered cilantro rice which is nice too and leaves freshness on your taste buds. 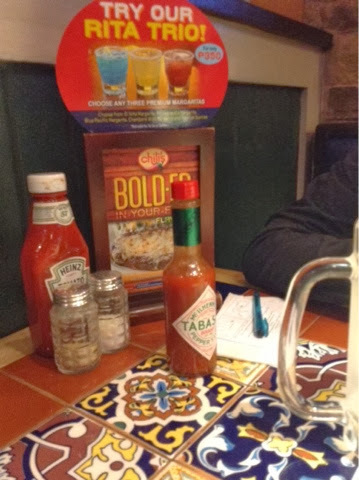 I love the prompt service of Chilli's. The staff are very friendly and accommodating. The food is truly good for your appetite and though the price is a bit high compared to others, youw on't deal much about it because the food is sooooo good. We filled up a survey form and got a gift certificate after. Yay!!! So yeah that's what happened. Hopefully we can watch Boy Golden soon. I really wonder why its not showing to other cinemas. Hmmmmm.